In some of its latest newsfeed changes to promote sharing between friends and family, Facebook is putting a greater focus on "quality" news content that drives peer to peer interactions. It's all part of the platform's quest to encourage what it calls "meaningful social interactions" and reduce the amount of time people spend passively on the social network, aimlessly scrolling through their newsfeed. "We want the news in your newsfeeds to be high-quality – those that generate great conversations," Nick Wrenn, head of news partnerships, Facebook, EMEA, said at the International Journalism Festival today (12 April). "If you're publishing non-original content that people watch passively, you'll see a drop in your reach." 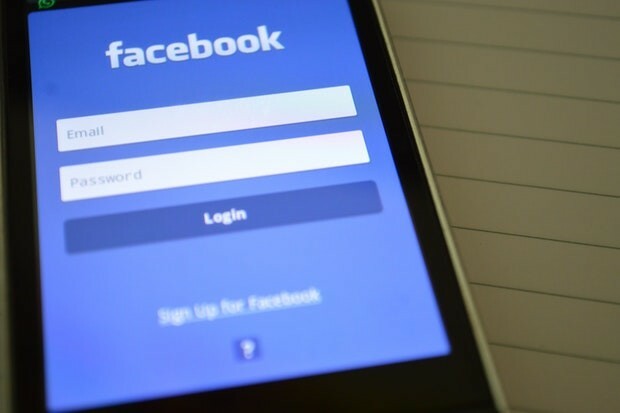 Facebook reduced the amount of news content in newsfeeds in January from 5 per cent to 4 per cent, which represented a 20 per cent fall in reach for some news organisations. So how can newsrooms do better on Facebook after this latest algorithmic change? Wrenn explained news organisations should put a core focus on starting conversations between people on important issues, ideally producing as much video as they can. The newsfeed algorithm going forward will give a ranking boost to video that audiences have an intent to watch, where they go directly to a page and choose the video – like a series of videos published regularly and viewers return for each episode. "Peer-to-peer conversations are prioritised, those with a strong thread of comments and replies happening organically within a post or video." He added that live video usually generates more interactions and comments than pre-recorded video, such as the following video from AJ+, which uses the comments to summarise the story and generate more comments. "But note that we are not just interested in like-minded opinions on fluffy cats, we want news on Facebook to be a place where people can disagree, creating robust conversations." Wrenn noted that journalists can encourage these meaningful interactions by focusing on both their brand and audience simultaneously, posting content that resonates with audiences, and creating groups that encourage discussions. "Groups are great for topics of specialist interest, where you have expertise or interest in a particular area and can get involved, even sharing posts from rival organisations," he said. Engagement bait, such as asking users to comment or like posts, will not be classed as a meaningful interaction and can result in demotion of posts and potentially pages. "Go into the comments and engage with people – thank them for their time and answer their questions where necessary," he said. "Newsrooms often underestimate the power it has when audiences get an answer back from journalists – it instantly builds loyalty. Talk to your audience and understand them." This "meaningful conversations" algorithm change will be followed by others in the near future, explained Wrenn. "We've also started a ranking system that will up-rank trusted sources, where we ask users how much they trust individual news organisations on a scale of 1 to 5," he said. "This is about finding broadly trusted sources, those that are trusted by people that don't necessarily follow their brand on Facebook, so they are trusted by people outside the fan base." The platform will also be strategising how to do this for 'informative' news sources, but this is still under development at the moment.